Linda Burke is the Vice President of Disability Operations. She began her Disability Insurance career in 1984 with Provident Life & Accident as a Senior Sales Consultant. She worked for 11 years in Disability Marketing including case design, administration and sales. She has extensive experience in the management of corporately designed Disability Programs. While at Provident, she was responsible for the design, installation and administration of a block of business in excess of $45 million. She worked exclusively with key accounts as the Account Executive providing support in every phase of the design, enrollment and ongoing administration. Linda manages and administers disability programs and is responsible for the development of new disability sales. She provides regulatory compliance assistance, serves as liaison between clients and insurance carriers, creates employee communication materials and conducts employee meetings. She is a registered representative offering securities through M Holdings Securities, Inc, a registered Broker/Dealer. 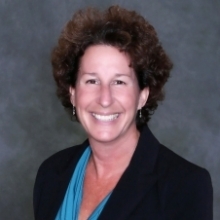 Linda is a graduate of Michigan State University and has earned her CLU and ChFC designations. Additionally, she has earned her designation of FLMI (Fellow, Life Management Institute) and ACS (Associate Customer Service) from the Life Office Management Association. She is a member of the GDALU (Greater Detroit Association of Life Underwriters) and NALU (National Association of Life Underwriters). A resident of Novi, Michigan, Linda is a fitness enthusiast who maintains her ACE and AFAA certifications and instructs several group fitness classes a week.